A year ago, almost to the day, I got an email out of the blue from Lucy Shortis, who runs the office of my favourite artist, Tom Phillips. She said some nice things about a very old blog post of mine, and asked if I would consider writing a "short biography of Tom" for a new website for him. I drummed my fingers on my desk for half an hour before replying, thinking it might seem creepily over-keen to accept the challenge within five minutes. Still, I was round at the studio to discuss the work with Lucy the next morning, a Saturday. I already had several books of Tom Phillips' work, none of which I'd given as much attention as I would have wished. (I used to think of these enormously rich works as resources to keep me alert in my retirement. Via this commission, I enjoyed the luxury of bringing forward a few weeks of that retirement.) One of the first things I did was track down and buy some more of his books. To a dabbling hobbyist like me, Aspects of Art was particularly useful in providing a concise, straightforward account of both Tom's perspective and the grammar of art history that he draws on. It took me weeks of research before I felt ready to start writing, and, thus when I did I was so marinated in the rich play of ideas in Tom's work, that I couldn't quite bring myself to write a 'straight' biography. My first attempt was well over the word limit and so wide of the mark that I had to put it to one side. No matter. Try again. With a little guidance from Lucy, I came up with this attempt which went live with the new website a couple of weeks ago. Moreover, Lucy was kind enough to indulge me by finding a home for my original essay. The new website is one of a series of happenings this month that mark Tom Phillips' 75th birthday. (There's a neat symmetry about this number for me, since I first encountered Tom's work at his 1987 exhibition in Sheffield, "50 Years of Tom Phillips, 100 Years of the Mappin Art Gallery".) Other birthday events include two exhibitions in London and the publication of the fifth edition of Tom's book A Humument, which he's been working on for 46 years and counting. Regarding the last of these, I pitched to The Spectator to write an article about A Humument and you can read it in the current edition of the magazine or online. Once again, my first draft of this went way over the word limit and included playful embellishments that had to be cut for publication. Now I've gone back to that draft to create a "Director's Cut" version. Like most Director's Cuts, it's by no means better than the version where I had my wings clipped: it rambles along down several diversions; it has pretentious flourishes; its editing is baggy. If you want a decent overview of A Humument, read the Spectator piece. If you're part of the niche audience that's interested in a few of the many different directions in which A Humument leads, this is for you. Continue reading "Tom Phillips and A Humument: Essays, notes"
We're in one of those periods when real change in education might be possible. This doesn't happen very often. Here's why. Education is probably the single most powerful means by which our societies and our cultures reproduce themselves — institutions, values, character and differentials… the works. Hence the number of interest groups with a stake in education is enormous. Of all the culture-breeding channels available to those in power, education is in principle the one that lends itself most readily to engineering and design. However, in practice, everyone sticks the oar in and change is piecemeal, compromised and fragile. So it's rare for sufficient powerful forces to align and overcome the drag of inertia. Now is such a time, and I think we're just seeing the beginnings of changes that may take a decade or two to work through. Donald Clark writes of technology enabling "more pedagogic change in 10 years than in the last 1,000 years". Then there's the impact of economic retrenchment and austerity on learning, which I've been writing about on and off for over two years, arguing that cases where people have to "make do" in their learning may have something to teach us about how to improve more "advanced" techniques. On top of factors like these (the full set would be a whole essay in itself), there's a cultural mood that has arisen from year-upon-year of different kinds of disruption — from hurricanes and ash clouds, through financial punch-drunkenness to the effects of technology reaching the professional middle classes for the first time. We don't believe in the return of business-as-usual any more; we don't trust the age-old educational conveyor belts to drop us off at the right spot in the factory. 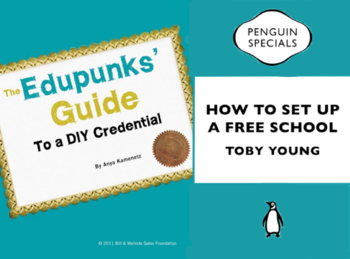 Continue reading "School it Yourself: Review of The Edupunks' Guide and How to Set Up a Free School"
I have a chronic habit of reaching more for biological metaphors for to help describe how we inhabit a world of abundant technology and media. Two decades ago, when I was working on large IT systems in the civil service, Ian Franklin and I suggested a shift from thinking about these systems as engineering interventions to a more organic, gardening-style approach. We got short shrift. Kevin Kelly took this thinking much further, and more rigorously, than I ever have in Out of Control: The New Biology of Machines… (large public sector IT systems, "out of control" — hmmm…). But I've come back to it in writing about foraging and discovery, a central metaphor in my book. And the read-across from the natural world is very clear in my work on Ken Thompson's SwarmTribes platform. I don't claim anything unique or especially prescient about about this interest in eco/bio ways of talking about things. You could tell it was becoming commonplace, if not mainstream, when Becta announced plans for a "content ecosystem" for learning (pdf). The plans themselves were old school, top-down and centralised with negligible scope for organic evolution based on selection and feedback. Practice and terminology rarely develop in sync. With a much grander scope than technology platforms for learning, Adam Curtis, the documentary film maker and blogger, did a demolition job on the ecosystem idea during his recent BBC series All Watched Over By Machines of Loving Grace. It's a good thing to have your cherished notions challenged and put under the microscope, particularly by someone who you might expect to be sympathetic, like Curtis. I don't think Curtis's critique is watertight, but — as Alan Kay famously said of the Macintosh user interface — it's good enough to be worth criticising. The film is titled "The Use and Abuse of Vegetational Concepts". Curtis wrote his own text precis of its argument and Wikipedians offer another. There are blog posts here, here and (most interesting but mainly because it takes off in a different direction) here. I'm going to pick out two strands of Curtis's argument and one question it seems to beg. There's more to it than this, but these are the points that most interest me in my appropriation of eco/bio terminology and concepts. Continue reading "On ecosystems, Adam Curtis and positions of power"
One of the beauties of David Gauntlett's Making is Connecting is the way it develops a fundamentally simple idea with successive layers of richness and power. 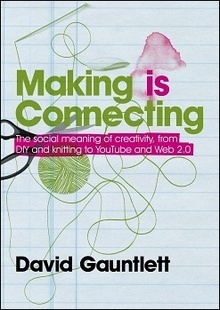 The cover captures the kernel of the book: the core thesis that making (with hands and brain, resourcefully) is connecting (in terms of relationships, meaning, learning); the context that extends from scissors and thread to YouTube; and the ethos of the personal, handmade artefact captured in the stylish smudge that subverts the sleek sans-serif typeface. One of the perils of writing anything related to Web 2.0 over the last four years is being painted into a corner opposite Andrew Keen and his Cult of the Amateur broadside against the threats to the hieratic hierarchy of professional power. In this case I think the comparison is justified, because Making is Connecting is everything that The Cult of the Amateur was not. Where Keen reductively polarises and thins out the issues he addresses, Gauntlett's treatment is embodied, his points rounded out with substance and complexity. Where Keen uses "amateur" as term of haughty derision, Gauntlett gives us back a fleshed out sense of the word, capturing the care and dedication that come when people make things for love, not money. In that 2010 interview, I complimented David on his plain speaking style and how he makes his ideas accessible. That holds true throughout Making is Connecting: it's rare for a book to cite Adorno and Horkheimer while still remaining readable, but this one does. Of Ivan Illich — one of David Gauntlett's guiding lights, along with the likes of William Morris, John Ruskin and Richard Sennett — he says "his writing feels earthy, and engaged with real things." The same could be said of David himself, and I confess I envy him in this. Continue reading "The Whys and Wherefores of Creativity and Sharing: Review of Making is Connecting"
As I made my way through the first third of Monkeys with Typewriters , I was vaguely aware of a tut-tutting from my inner voice, an occasional rolling of my inner eye. "Sheesh, this social media stuff wants to be seen as shiny, new and transformative," they seemed to be saying, "but really it's just another episode in the gradual chipping away at the old Fordist, Taylorist, command-and-control model of the enterprise." Then I reached page 64, where one of Jemima Gibbons' interviewees argues that, in social media, technology has caught up with ideas that have been around for a generation. Aha! My inner head (?) nods in approval. Who is this shrewd commentator that Jemima has consulted? It's me. Yep, that's me all over: conjuring thoughts that seem original to me, only to find that I've been singing the same old song for years (Jemima interviewed me in 2008). So that's the disclosure out of the way, and, for helping out as an interviewee, I got a free copy of the book. Jemima and I have moved in similar circles in London since around 2003, when we were both part of Ecademy's now-defunct Media Playground group and when Jemima led Cass Creatives at City Business School. She lists an impressive total of 48 interviews as part of the research for Monkeys with Typewriters, and round about a quarter of them are from what could be loosely called the London social media scene. But (forgive the pun) Jemima also casts her net wide enough to take in key web entrepreneurs from the US (Ross Mayfield, Craig Newmark, Jason Fried, Tim O'Reilly), academics and writers (James Boyle, David Weinberger) and some corporate managers (BT's J.P. Rangaswami, IBM's Gina Poole and Luis Suarez, BBC's Richard Sambrook). There's even one old management visionary from a previous generation, in the shape of Shell's Arie de Geus. What emerges from this journalistic approach is a very people-centred approach to the topic of leadership and management. You could even say that — in the style of a social network — the story of the book is based around profiles. Certainly Monkeys with Typewriters is very much concerned with the character of leaders in the Web 2.0 world, as its chapter headings — Passion, Openness, Listening, Generosity — suggest. In this way, Jemima really succeeds in giving a humane sense of what's involved in dealing with this new world: she's concerned as much with feelings as with ideas. But what is the message that common or garden managers will take away from Monkeys with Typewriters? This is where, at the risk of flogging the same point I started with, the song remains pretty much the same. To be a good leader, the story goes, you have to give up control, abandon management by metrics, and learn to trust the people you lead. Business writers have been saying this for almost as long as artists have been trying to shake up the bourgeoisie. Brian Eno once responded to the latter, saying "those poor bourgeoisie: everyone's always trying to shake them up; why don't they give them a little space…" Managers, it seems to me, face a similar dilemma, caught between these repeated exhortations to loosen up and let their people develop their own fully-rounded solutions, on the one hand, and, on the other, ever-present pressures to demonstrate that their commands are as lean and effective as they could possibly be. We need to recognise that we will never live in a world of completely frictionless communication and totally flat organisations. A big part of the challenge is having the vision to lead people through the many knotty tensions where openness, trust and generosity are most under threat. 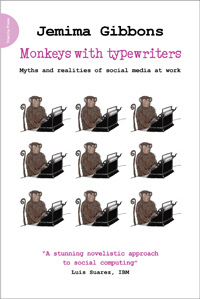 At it's best, Monkeys with Typewriters has an ethical inner voice that reminds me of Charles Handy's guides to the future of work from a couple of decades ago, The Age of Unreason and The Empty Raincoat . Handy was a contemporary of Arie de Geus at both Shell and the London Business School, so perhaps that's no coincidence. 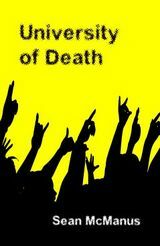 Continue reading "University of Death by Sean McManus: A Review"
A couple of years ago, at the end of this post on the crossover between Web 2.0 and anarchism, I wrote that I'd started reading Fred Turner's From Counterculture to Cyberculture: Stewart Brand, the Whole Earth Network and the Rise of Digital Utopianism , and suggested I might be blogging about some of the ideas in it. Time passed; I soon forgot the ideas the book had triggered; things moved on. Then, when Nico Macdonald told me the book was up for discussion at his Innovation Reading Circle, that gave me a reason to re-engage with the book. Nico already had Joanne Jacobs lined up to give an introduction to the book, but kindly created a support slot for me to give a response to Joanne's critique. What follows is that response, plus some brief and partial notes of the discussion that followed at the Reading Circle last night. It makes sense to read Joanne's review in full first. To try and summarise it in a nutshell, Joanne is saying that Turner's radically overstates the countercultural significance of Stewart Brand and his circle of tech-visionary associates — much of their work and ideas actually has more in common with the dominant culture than with anything genuinely subversive. And to summarise my response in a nutshell, I ask, "So what if they weren't and aren't revolutionaries? Does it take anything away from their importance?" Then I try and answer the So What question in my own way. That's enough prefacing; on with the show. I'm not convinced that Fred Turner is making any claims for Brand and his associates as revolutionaries. The book is called "from Counterculture to Cyberculture" and its main narrative is one of how a bunch of ideas from the fringes of society became mainstream — through the agency or the catalyst of Brand and his eco-filofax of contacts. It's the same narrative of innovation — corporate enterprises being prepared to think out of the box to be creative and competitive — that has become orthodoxy in many circles not too far from here. This idea of boundary objects that "both inhabit several intersecting social worlds and satisfy the informational requirements of each" has been around for a while, and I think Turner's application to Brand's story is at least plausible. 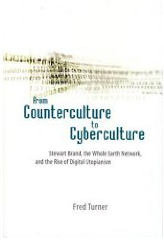 Continue reading "Counterculture, Cyberculture and Innovation: the strange case of Stewart Brand"
When Brian Eno released his Generative Music 1 album — music that is created 'on the fly' by a computer following a set of rules that Eno programmed, released on floppy disk, and now virtually unplayable on any current hardware — he wrote "I really think it is possible that our grandchildren will look at us in wonder and say: 'you mean you used to listen to exactly the same thing over and over again?'". If you were feeling mean, you might classify a strand of Bill Drummond's musical output as an agitprop popularisation of some of Eno's ideas. 17 fits that profile, as Drummond wants to play his part in getting rid of recorded music and perhaps not just recorded music. "Imagine waking up tomorrow, all music has disappeared," begins one of his many manifestos. He declares Year Zero in the history of music, razing what has gone before and starting again — and all of this single-handedly, or with a bit of help from some travelling companions and some yet-to-be-convinced schoolchildren. What's interesting about the campaign Drummond conjures in 17 is that it re-interprets the current state of the recording industry not as a commercial crisis, but as a cultural one. recorded music has run its course, it has been mined out. It is so 20th century, like paper money and fossil fuels… all (or should that be 99.99 percent?) of music being written, composed, created [is] done to be recorded, and once recorded, to be experienced in a very limited way. Continue reading "Fighting cultural surplus: a review of Bill Drummond's 17"
Last year Cass Sunstein produced a revised version of his book Republic.com, titled — with crushing inevitability — Republic.com 2.0 . In it, he critiqued the impact of the net on democratic discourse and public spaces. His dystopia is one where we all subscribe to the Daily Me, a filter that presents us only with the worldview of people we agree with. What we gain in (temporary) contentedness we lose in critical appraisal and debate — with potentially dire political and social consequences. Filtering and recommender systems will always be imperfect; they'll never be as good as their evangelists would have you believe. Even if perfect filtering did work, people wouldn't like it; they'd quickly get 'perfect' fatigue. If people did liked perfect filtering, we wouldn't need the blogs that Sunstein argues are the medium of 'echo chamber' opinion: if all you ever have to say is 'me too' in chorus with your like-minded peers, the whole point of blogging (self-casting) disappears. After my book was reviewed alongside Republic.com 2.0, James Harkin at the ICA invited me to give a response to Professor Sunstein when he was due to speak there last December. Unfortunately Sunstein had to cancel his trip to the UK, and, since he's published several more books since then, the chances of me delivering my response in person are low. So here it is in writing instead. Continue reading "Why the net won't turn us all into social isolationists"
Back in November — it may have even been October — a CD arrived in the post, addressed to me at DJ Alchemi Ltd. It was the new Barb Jungr album, Walking in the Sun. Now Lucy and I both count ourselves as Barb fans, so this was an unexpected pleasure. But it was also unexplained: no note or anything with the CD, no return address. The only thing I could think of was that someone had seen my Mark Abis album review, and wondered if I might review this one as well. I have no way of knowing whether that was the intention, but, three or four months later, here is a review. Barb Jungr may need some introduction, as she's not as well-known as she deserves to be, particularly outside the UK. Though Barb is often tagged as a 'chansonnier' and therefore associated with a continental European repertoire (think Brecht and Brel), I think I first came across her via her album of Bob Dylan covers, which is a special favourite of mine, and she's also done an Elvis-Presley-themed album. Blues and gospel music are the obvious themes of Walking in the Sun, though it also captures a broader sense of the American South: one that encompasses the voodoo imagery of the first song, Who Do You Love? to Randy Newman's Old Testament satire in God's Song. This gothic and/or spiritual feel suffuses even self-penned songs like Beautiful Life and the version of Many Rivers to Cross with its re-written lyric about the white cliffs of Dover. Continue reading "Review of Barb Jungr: Walking in the Sun"
Several months ago, on the back of my review of Joe Boyd's book, I was contacted by singer-songwriter Mark Abis, of whom (Mark explained) Boyd had said, "[He] got my attention. His melodies are original, his voice warm and distinctive, a real musical sensibility is obvious, with literate lyrics to boot. My vote for one of the best of the new generation." Mark asked if I'd like a copy of his CD, Changing Inside, to review. On the understanding that any review would get no further than this blog (not an especially promising outlet for breaking new music), I agreed. Joe Boyd is not an easy person to impress. He describes how he used to receive many demos from people citing Nick Drake as an influence (Boyd was Drake's producer), most of which he chucked into a box marked "WPSEs" — white people singing in English — for missing the point about what made Drake special. But part of the reason it's taken me so long to get round to writing this review is that Changing Inside isn't an album that reaches out and grabs you. You have to go and meet it on its own terms. 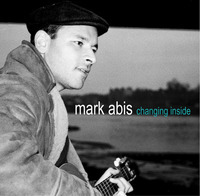 Continue reading "Review of Mark Abis: Changing Inside"
A couple of updates about playlist services. Cloudbrain contacted me last month to let me know about about Mixlister, their new playlist sharing service. This comes at a time when GoFish has withdrawn from playlist services, FIQL and MyStrands are enhancing their offerings, and some others (e.g. Upto11) appear to have remained unchanged for the best part of a year. Continue reading "Playlist services: Mixlister review and FIQL re-vamp"
It's a measure of a term achieving zeitgeist status when people apply it liberally, even in circumstances where it doesn't really fit — as with the managers who sought to label their initiatives as Total Quality Management or Business Process Re-engineering in the nineties, even if they only half-grasped the original intention behind these terms. In the 21 months since Chris Anderson published his article on the Long Tail in Wired, this new term has come close to achieving similar status. To some extent that's a sign of its attractiveness and strength, but will it end up (forgive the almost unavoidable pun) tailing off, as TQM and BPR have done? A quarter of the way into his book The Long Tail: How Endless Choice Is Creating Unlimited Demand , Anderson explains, "The theory of the Long Tail can be boiled down to this: Our culture and economy are increasingly shifting away from a focus on a relatively small number of hits (mainstream products and markets) at the head of the demand curve, and moving toward a huge number of niches in the tail." Continue reading "Review of The Long Tail by Chris Anderson"
In preparing the White Bicycles playlist yesterday, I revisited a subset of the playlist services that I reviewed last year and in January. Here are some notes on what's changed, plus some notes on different contexts for searching for tracks. Continue reading "Update on playlist services"
In the April issue of Prospect, Philip Oltermann observes a trend he calls the network biography, focusing more on artists' social networking to gain influence, and less on individual talent and its fruits. Along with this, "anecdotes have become more than mere padding", he claims, and have moved to centre stage in biographical accounts. Joe Boyd's White Bicycles: Making Music in the 1960s could be seen as a kind of network autobiography or memoir. In the 1960s, which more or less coincided with Boyd's twenties, he had an uncanny knack of being in the right places at the right time, and worked with movers and shakers across generations of the music world. He was road manager for European tours by Muddy Waters and the 'blues caravan', Coleman Hawkins and Roland Kirk, as well as for Bob Dylan's electric performance at the Newport Folk Festival. He produced Pink Floyd's first single, as well as all the early landmark albums by Fairport Convention, the Incredible String Band and Nick Drake. As co-promoter of the UFO Club, he hosted everyone that mattered in British psychedelia during the Summer of Love. Continue reading "Review of White Bicycles by Joe Boyd"
Here's another Web-2.0-style tool for aggregating information and links. It's the idea of Seth Godin, who has made his name from a series of books on innovative approaches to marketing in the age of the web. He sees this service, called Squidoo as a means for others to make their names in their areas of expertise — as captured in Squidoo's tagline, "a co-op of everyday experts". I've created my own Squidoo 'lens', reviewed some other people's, and read Seth's free ebook about the concept behind squidoo. What follows are my reflections on these. Continue reading "Publishing your perspective and expertise with Squidoo"
Last week MusicStrands launched a major upgrade that extends its scope by adding new ways to tag, discuss, and discover music — see the overview of the new features. This is moving in the direction of the MySpace music community — technically I think it's a step ahead of MySpace, but clearly lacks the latter's current buzz — so in some ways it's unfair to concentrate just on its playlist sharing features. But that is what I'm going to do here, as I didn't include MusicStrands in my previous reviews of playlist services. To try out the new MusicStrands, I first created a new Philip Jeays 'imaginary celebrity playlist' (see more about this genre and more about Jeays), then I repeated my Neil Young playlist, to provide a direct comparison with creating the same playlist on other services. More about the details of these below, but first an overview of MusicStrands playlists, using my standard criteria. Continue reading "MusicStrands: playlist sharing and music discovery"
The new film by Saint Etienne and Paul Kelly, What Have You Done Today, Mervyn Day?, is billed as an homage to the Lea Valley. Seeing it led me first to dig out Peter Cusack's 02000 album The Horse was Alive, The Cow was Dead — which is an audio document of the same area — and then to consider the different ways in which the two pieces work. Continue reading "Recording the Lea Valley: sound and vision"
Having initially reviewed four playlist sharing services, three providers of further services have let me know of what they're doing in this area. I've already posted addenda on FIQL and Mixmatcher. Here are some comments on the GoFish playlist service, and a consolidated comparison table. Continue reading "Last word (for now) on playlist sharing"
After my original review of playlist sharing services, and FIQL addendum, I've been contacted again, this time from Ben of Mixmatcher. So here's a quick canter through a review, based on my experience of setting up the same-old, same-old playlist using Mixmatcher. Continue reading "Mixmatcher playlist sharing service"
FIQL.com is also a playlist sharing site and we have close to 2,000 community contributed playlists divided up by genre, mood and occasion. We also have writers who pen regular columns for us about playlists covering such diverse topics as "Songs With Backmasking" to "Prom Songs". Each (often heavily researched) column includes an accompanying playlist. These can be found off the homepage and in the "buzz" section. Anyway, there are many similarities between our site and the sites you've played around with recently but we do think we also have some advantages. We hope you'll take a look and let us know how we compare. Which I'm very happy to do. Continue reading "FIQL: a further playlist service"
Based on that experience here are a few review comments on how each of the services measures up in terms of audio, community features, usability, portability of playlists, and their main selling points. Continue reading "Playlist sharing services: a comparative review"
A year ago, I said that, in order to anticipate models of listening to music in the future, "We need long term and longitudinal ethnographic studies that chart how [music listening] habits change in response to changes in format and economics". In 02000, Michael Bull, a senior lecturer at the University of Sussex, published a book based on ethnographic interviews from ten years ago with users of Walkman personal stereos. A follow-up book on use of iPods is expected to be published soon. From reading the first of these books, Sounding out the City: Personal Stereos and the Management of Everyday Life, Bull's focus and research may be useful to people concerned with iPods and competing MP3 players. However, people concerned with the take-up of digital music services in general or of 'à la carte' (e.g. iTunes Music Store) versus subscription (e.g. Napster) services will find little of use. Bull's research and theories have little interest in music per se, and concentrate on people's instrumental (if you'll pardon the pun) use of music to manage their everyday lives in metropolises. What follows is a review of Sounding out the City, from the point of view of a slightly disappointed reader who is more interested in how people select, listen to and enjoy music qua music than in the use of hardware to re-define social relations, or in the application of Critical Theory to aural experience of urban life. Continue reading "Researching use of personal stereos: Sounding out the City"
The subtitle of Mark Coleman's book, Playback is "From the Victrola to MP3, 100 Years Of Music, Machines, and Money". It's a story that moves to and fro, from technology (the format wars over cylinders and discs in the days of Thomas Edison) to culture (the role of the DJ in disco, reggae and rap) and back to technology (Napster, iTunes and piracy). Along the way, Coleman mixes anecdote and analysis, covering key personalities and broad social trends, as well as the power relationships in the music and technology industries. His century-long overview offers some perspective on the current tribulations, by showing that tribulations and turmoil are almost the norm — so the current impasse is in many ways 'business as usual'. The history of music and playback technology is a history of old wars and reconciliations, of markets contracting and expanding again. Coleman's century covers the rise and fall of records as the primary music reproduction technology. Records first competed with live music, and with wax cylinders: they won. They competed with radio, skirmished for a while, but ended up in peaceful co-existence. Finally, records competed with cassettes and CDs, and, DJ culture notwithstanding, they lost. What follows is not a review of Playback, but my notes of the points I found most salient. Continue reading "Notes on Playback (Mark Coleman)"
Here are some notes that form another instalment in my occasional series of postings about commentaries and 'making of' features that aim to help people get more out of cultural works (albums, films, books and so on). a preliminary taxonomy of 'making of' features. These notes are about two books I've read this year: Peter Biskind's Easy Riders, Raging Bulls, about the new Hollywood era of films that held sway between the late '60s and late '70s; and Douglas Wolk's Live at the Apollo, an account of James Brown's career-defining album of that name. As far as I'm concerned, Biskind fails and Wolk succeeds. Here's why. Continue reading "More reviews of cultural 'companions'"
In the US, the New Media Consortium and the National Learning Infrastructure Initiative have published a 23-page report on new developments in technology that they predict will have an impact on "teaching, learning or creative expression". You can download the full report for free via Raimond Reichert's review in elearning reviews. The review itself is an excellent summary and makes some telling points. I'm very sceptical about the faddism of some of the selections. Continue reading "Adoption of games and wireless technologies for e-learning"
Here are a couple of grainy longshots taken with my so-last-year's-model camera phone at last night's Christian Marclay gig at the Tate Modern. The gig was tied into Marclay's Sounds of Christmas project, which is showing at the Tate until Christmas. Marclay is another example of an artist who presents his collections as art: in this case, his collection of over 1,200 Christmas records, gleaned from charity shops over the years (though I spotted at least one Christmas record missing from the collection — perhaps beyond the pale of kitsch?). Continue reading "Christian Marclay at Tate Modern"
My notes from the event focus mainly on Robert Worby's talk on "The Music of Loudspeakers" and Jon Cambeul's Wacom tablet guitar. Continue reading "The Music of Loudspeakers (notes from CyberMusic event)"
The Edutainment field has, deservedly, got itself a bad name for not delivering on its promises. Often the premise has been that people see learning as boring or stodgy, so it has to be smuggled in, Trojan-horse-style, under the guise of a game or a celebrity-driven story. The Radio 2 Sold on Song web site shows this need not always be the case. This is a resource that people can either dip into for snippets and details about personal favourite songs or use as an extended, and fairly rich, introduction to songcraft, its leading exponents, and how to go about it. Here's an account of how and why I think this site works. Continue reading "Learning songcraft via the web"
Continue reading "Of Walking in Ice, in Hertfordshire"
I'm reading Ashley Kahn's A Love Supreme: the Story of John Coltrane's Signature Album, and finding it fascinating. Kahn provides pictures of his sources, from the handwritten covers of the session tapes to the records of which musicians got paid how much for each session. The album was conceived in '64 and released in '65, just like I was, and the book recreates the cultural era of another time, place and race. Which leads me to ponder what makes a valuable essay on the making of an artwork. Particularly in the DVD age, these 'making of' accounts are increasingly common. Here's a list of a few I've come across — mostly recent ones, with no claims to be the best in their field — and what I think distinguishes them. Continue reading "Towards a taxonomy of 'making of' features"
My review of Stanza's collection of twenty online audio-visual artworks, Amorphoscapes, is now available on the Furtherfield web site. Furtherfield is building an extensive resource covering many areas of art in online and convergent media. Apologies for the recent scarcity of postings on this site — I've been ill. I attended the RSA's 'Day of Inspiration' today, marking 250 years since the RSA was founded. I imagine a full transcript of the day's talks will appear online in due course, and I'll add a link to it from this posting then. So rather than try to replicate what will be done better elsewhere, here are my unedited notes, sacrificing comprehensiveness — and possible comprehensibility and accuracy — at the altar of speed. Continue reading "RSA Day of Inspiration: my notes"
I read much of Haunted Weather on holiday, on an apartment balcony overlooking the kind of Costa del Sol villa-sprawl that provided the setting for J G Ballard's Cocaine Nights. It's possible to read Haunted Weather through Ballardian spectacles: the latter's coining of phrases like "the marriage of Freud and Euclid" and "a Krafft-Ebing of geometry and posture" (both from The Atrocity Exhibition) could apply as a synopsis of Toop's concern with spatial and uncanny qualities of music, its root in our relation to our own bodies. Continue reading "Review of David Toop's Haunted Weather"
I never quite got round to getting my notes of the RSA's music and technology event, Visions for the future into shape to post here, but you can now download the 34-page proceedings of what went on. Some of this account of the event is a bit revisionist, however. Either that or I was unconscious and time stopped for the bit where Peter Gabriel presented the thoughts that appear in the proceedings about his MUDDA initiative. David Puttnam's lecture this evening focused on skills (he spends a fair bit of his time advising the Department for Education and Skills these days) and on intervention to stimulate digital distribution and exhibition of films in the UK (he's a Labour peer). He addressed the potential impact of digital technologies on production of films/motion pictures, on distribution and exhibition, and briefly on aesthetics. Continue reading "Puttnam on digital impact: my notes"
From abstract theorising about cultural collections to concrete practice. Tom Phillips currently has 1,000 (out of his collection of 50,000) postcards on display at the National Portrait Gallery, as part of an exhibition called We Are The People. Alongside the exhibition, Phillips guides how people can interpret and learn from the collection. There is a book with essays by himself and others, as well as shorter articles and an audio interview on his web site. 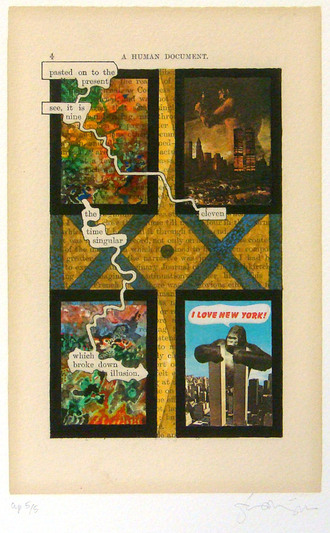 The web resources also help put the exhibition in the context of Phillips' long-term artistic engagement with postcards. This is not just a case of an artist switching hats to become a part-time archivist and interpreter. The collection and exhibition are also about collecting and interpreting, for much of Phillips' work is concerned with layers of meaning and the chance connections that occur when you pile one layer on top of another, endlessly. Playful means lead him to serious ends and vice-versa. Continue reading "Learning from Tom Phillips: We are the people"
As a prelude to a season of Alain Resnais films that will get under way in earnest next week, Michel Ciment (editor of the French film journal Positif) gave an introduction to Resnais' fifty year career, followed by a screening of Providence. Ciment's overview of Resnais' work and practice was erudite in nailing his unique gifts, while correcting what he sees as common misconceptions. Continue reading "Alain Resnais film season"
The Furtherfield web site is an online platform for the creation, promotion, criticism and archiving of adventurous digital/net art. I've joined the team of reviewers, and you can read and discuss my first review — of Linda Duvall's Stained Linen. Last autumn there was a flurry of comment spurred by Wired pitching Information Design guru Edward Tufte against artist and musician David Byrne on the pros and cons of Microsoft's PowerPoint software. Tufte argued that PowerPoint is Evil for "elevating format over content", while, in Learning to Love PowerPoint, Byrne said "I soon realized I could actually create things that were beautiful... and use [PowerPoint] as an artistic agent." The gist of Tufte's argument is easy to grasp for anyone who's sat through interminable slides of bullet points. But David Byrne's brief essay is more oblique, and the examples of his slides available on the web — links below — don't make much of a case themselves. As a consequence much of the commentary declared Tufte the 'winner' — here's a typical example. Intrigued by the difficulty of pinning down Byrne's use of PowerPoint, I shelled out the £50 for his Envisioning Emotional Epistemological Information (EEEI) book/DVD package to take a closer look. It's clear from looking at this that there never was a real 'debate' of any kind between the Byrne and Tufte positions, as Byrne's purpose is in many ways orthogonal to Tufte's. Continue reading "David Byrne and the (bogus) PowerPoint art debate "
So it comes as a kind of reassurance to find that even a Liberal Democrat MP like Richard Allan also reviews Chumbawamba's English Rebel Songs approvingly. Where his appreciation seems even more out of kilter than mine is that he provides a link to buy the album at Amazon.co.uk so that he makes money every time someone decides to buy the album from this anti-union corporate retailer on the basis of his review [update 18.3.02004: this is no longer true — see comment]. I recommend buying the album, and the book, direct from the Chumba shop (no commission). Here's a review of the John Cage Uncaged weekend festival that I wrote a few weeks ago. In hindsight perhaps it was inevitable that the most successful parts of the BBC Symphony Orchestra's long weekend dedicated to John Cage would be the music that was made in the intervals between the headline concerts. Cage and orchestras struggled with each other during his lifetime, and he found more receptive performers outside concert hall traditions, working with dancers and percussion ensembles, or producing his 'circuses' and 'happenings.' Though this pattern persists, the gradual, cautious and halting assimilation of the orchestra into Cage's project — or vice-versa? — shows that his impact is far from being played out or a spent force. Continue reading "Review of John Cage weekend"
I was sent an invitation to the press view of this installation — apparently by accident, but they let me in anyway — so I thought I'd write about it. Here's the 'virtual tour' and here are the details of the installation's current showing. Cockroaches are a strong and resilient species; they will probably outlast us. The installation shows us the world through a cockroach's eyes, though the 'odyssey' is not clearly articulated. I read the installation as a restating and revisiting of Ono's celebrated anti-war statements from a few decades back, which are directly invoked by the 'Imagine-Peace' stamps that we are invited to use on the maps of US and Second World War locations. Not as playful as her early Fluxus work, but more poignant and still, impressively, as humble. I found this painting, Antonio Calderara's La finestra e il libro, in the Morandi Museum in Bologna, while there at the weekend with Lucy. I like the formalism and artifice of the proportions and the composition, and it reminded by of After Raphael by Tom Phillips, one of my favourite artists. Calderara's work ranges from figurative — Milano, il Naviglio (1928) — to abstract variations on Mondrian and Rothko — Tensione verticale al margine (1969). In this sense too it shadows Phillips' work, although Calderara prefigues Phillips: La finestra e il libro was painted in 1935, two years before Phillips was born. In his diary entry for New Year's Eve, Robert Fripp muses on ethical business practice. In this case he goes on to reflect on what he sees as the unethical behaviour of his previous record company (EG). I'm sure RF has a rationale for not making the full archive of his diaries available (the above link will no doubt rot in a few weeks' time, I'm afraid), for I think that his diary reflections, in April 2002, about the ethics and performance of the company he formed in response to his dispute with EG — Discipline Global Mobile (DGM) — contain many lessons relevant to running an artist-focused business. Happily I saved that entry; though, respecting RF's copyright, I should not reproduce lengthy portions. So the rest of this posting is based on my reading of the important bits. Continue reading "Robert Fripp on ethical and creative businesses"
How boring is the e-learning market? Having finally moved home and got Christmas out of the way, it's time for some not-very-seasonal, scroogy observations on the Future of UK E-learning Market event. In 1997 the Internet was really getting under the skin of many in what was then called the Computer-Based Training (CBT) industry. The Net's limited bandwidth and generic browser-based approach threatened their investment in laser disc and CD-ROM media with proprietary viewer software. When we launched our Living IT online Internet fluency courses that year, many people whose opinions I otherwise trusted were doubtful that our approach, which assumed no more than a 14.4 Kbps modem, could work. Instead of packing the interactivity into flash graphics and video, we designed lots of communication activities such that learners interacted frequently with their tutors and with each other (thus exploting the Net's killer application: email). I'd have liked to have seen this as having the same 'three-chord' immediacy and energy as punk rock, in response to the bloated production values of CBT. But, unlike punk, the response failed to stick. Why and how did the market re-establish itself with the traditionalists still in charge? Continue reading "How boring is the e-learning market?" Thanks to planning my move of home/office, it's taken me over a week to collect my thoughts on a debate on the impact of digital technologies on the film industry, which was organised by Cass Creatives. Happily this delay has saved me time, since Interactive KnowHow has now posted a comprehensive eight page report on the event. Together with their background paper on the issues involved, these make very useful resources. I've complained in the past about discussions of music and technology ignoring aesthetics, but happily this debate did address how digital techniques and formats are tied together with changes in the process and product of film-making, and in consumption. My notes concentrate only on these topics in the debate, and a few points not covered in the report. Continue reading "Digital cinema and changing film aesthetics"
In 1987 Apple produced the Knowledge Navigator video, which presented in scenario form the kind of user interface that they thought knowledge workers would be using twenty or more years in the future. Over the last week there's been considerable interest raised by Jon Udell's revisiting of that video, and his review of how accurate its projections were. My feeling is that Udell's assessment is sometimes a bit generous in his assessment of what progress has been achieved. Comparing Knowledge Navigator with Bruce Tognazzini's sister video, Starfire — which projected only ten years from 1994 to 2004 — shows how many of the projections of the past turn out to have been over-optimistic. Continue reading "#1 Past Projections of Future User Interfaces"
Of all the shows on offer in East London's just-completed F–EST weekend, I was most excited by the prospect of a sonic art piece by the Boyle Family. The Boyle Family are best known for their forty-year (and counting) series of three dimensional relief sculptures of squares of ground, chosen randomly. These include concrete pavement (as on show today, including manhole cover), rippled sand, and arctic tundra. The whole basis of the work is how closely it resembles the real thing as a 1:1 representation. So it was a bit of surprise — and not a very happy one — that their presentation of their London Sound Study (79 one-minute recordings made at random locations in the city) was played back using a small CD 'boom box' in the corner of their project space. I found a recent interview with Sebastian Boyle in which he refers to the Sound Study, but sadly gives no insight into the Boyle's motivation or goals for moving into this new dimension. Anyone know any more? I love Chumbawamba. The first thing that impressed me was their snappy way with a title, releasing first album Pictures of Starving Children Sell Records after Live Aid, and following it with Never Mind the Ballots... Here's the Rest of Your Life to coincide with the 1987 General Election (you can now get both of these albums on a single CD for less than a tenner). What's impressed me ever since is the mix of joy and seriousness that they bring to their music as well as their politics. It's not an obvious journey that they've taken from punk-pop in the 1980s to the a cappella folk performance they gave tonight at the Barbican (notwithstanding a glorious version of the Clash's Bank Robber), but it's an English journey, and in the process they're renewing the country's culture, making it a better place to live. Continue reading "#1 Reasons to live in England"
Writing my review of the multimedia elements of the Tate E-learning portal reminded me of another review I wrote seven years ago. Back then CD-ROMs were still seen as new and a bit experimental. I thought there was a rich vein to be mined at the point where new multimedia 'toy' and game interfaces were used to make/manipulate/re-mix music. I thought the Header CD-ROM from Tui Interactive Media was the best example I'd seen of this at the time. I hoped to stir up some of my comrades in the Usability/Human-Computer Interaction professions by championing something quite different from the interactive 'systems' we were used to working on. I failed in that and my other objective, but before I go into the details, and how things have changed in this field since 1996, here's the historical article, originally published in the British HCI Group's Interfaces magazine. This CD-ROM challenges much of the received wisdom about usability and multimedia. From the opening screen — where the menu choices swirl in orbit and depth of focus, challenging you and the cursor to 'catch' one of them — it confounds conventions of user control and user feedback. This can be a risky tactic, and many recent multimedia titles have sacrificed even basic usability in the name of innovation. But with Header the risks mostly pay off. In the process, it presents its musical content in a range of settings which subtly reframe our ideas of what recorded music is, and what interaction with music can be. Continue reading "Multimedia Soundtoys 1996/2003"
After other dot.com models have been (sometime over-hastily) discarded, e-learning still has that sense of being a 'public good' that, coupled with vestigial fashionability, makes it irresistible to many public/subsidised organisations. The Tate now has an 'e-learning portal'. But learning about art collections isn't the same about learning how to make MS Office software do what you want, or, say, GCSE English. I'm not aware of any major arts/culture organisations partnering with with educational institutions to offer full accredited courses by e-learning (if you are, please add a comment to this post). Mostly they dip their toes in the water by taking bits of their archives or collections and putting a thin wrapping around those bits to turn them into in 'digestible packets'. The design is driven by the content available rather than a coherent programme of learning objectives. With those prejudices of mine in mind, the rest of this post is made up of reviews of a few elements of the Tate's e-learning resources. Continue reading "Tate E-learning — a quick critique"
Peter Greenaway's The Draughtsman's Contract is re-released at the ICA this month. As a big fan at the time, I was curious to see how this standard-bearer for British art cinema in the '80s (and for FilmFour) looks in hindsight. In short, it's easier to see why people loved it — in particular the bravura confidence of the compositions — and why people hated it. I find myself less impressed now than I was: hindsight robs the obsessive schemes of their promise of enlightenment. We know it all goes round and round in post-structuralist circles, leading nowhere much, which was the intended 'lesson' all along. And without the tease of that promise, why bother even to try to unravel the clues? Continue reading "The Draughtsman's Contract"
A great festival, once I'd battled the trains to get there. I was attracted by the headline names — particularly Julian Cope, Linda Thompson (who subsequently cancelled), Laura Cantrell, my first chance to see Alasdair Roberts, and to a lesser extent Steve Earle and Rosanne Cash. But it was the time I spent in the club tent watching acts not even mentioned in the programme that I enjoyed most. In particular I'll keep an eye on Note for a Child (you can get their CD EP at the time of writing free from the web site), and the incredible combination of celtic harp and uilleann pipes from Harriet Earis and Colman Connelly. There was more energy in their set than you'd see from The Darkness (I imagine). Continue reading "Cambridge Folk Festival - Review"
In May and June I organised the symposium strand of the Cybersonica festival of electronic and interactive music at the Institute of Contemporary Arts in London. I also managed the editing of the proceedings, along with John Eacott and Richard Barbrook. You can download the abstracts of the papers as a 208 KB pdf file. Continue reading "Cybersonica 2003 Symposium"
Continue reading "Neil Young — live review (19 May 2003)"
I went to see Laurie Anderson on Friday. And because it was the kind of show I'd been waiting 18 years to see her do, I went again on Sunday (same show, but different perspective from the cheap seats). In between, I'd had the opportunity to review some of the material (all new) from my recording. It was an affirmation of those mid-80s concerns of hers about lack of metrics and exchange rates in the economies of experience, feeling and influence, and the uncanny sublimations that take place between these levels. Continue reading "Laurie Anderson - Live review (9, 11 May 2003)"
Yo La Tengo show how to make good music by relying on good taste. They look like they're not really trying very hard. The vocals - especially when Georgia is singing - are indistinct. Their songs don't give up their secrets easily (and the muddy acoustic of the Shepherds Bush Empire doesn't help). But they choose their sounds (muted guitar, unusual percussion etc), their grooves (gentle latin, jazz), their cover versions, and their influences very well. Continue reading "Yo La Tengo - Live review (7 May 2003)"